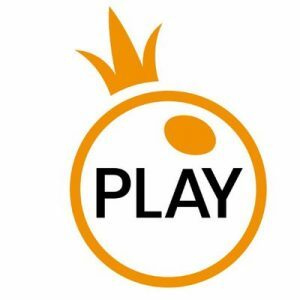 The leading content provider, Pragmatic Play Ltd. (PPL) announced a deal that will see the company deepen its partnership with LeoVegas Gaming (LVG) last week. As we all know LeoVegas recently announced that they’d pioneered a multi-brand platform. And this deal will affect all brands managed by LVG. In essence, the new agreement will see PPL multi-award winning video slot like Wolf Gold and Chilli Heat released on even more brands in the UK which belong to LeoVegas’ group. So as PPL continues to deliver defining content. This deal proves they’re in-line with their 2019 agenda to remain a top-rated online casino provider. Not to mention, this is also a huge perk for LVG players who’ll benefit the most from these amazing games. Also, it’s worth mentioning that this deal comes after PPL’s purchased the virtual sports supplier, VSoftCo. As of now, the provider’s game library contains unique content of over 100 HTML5 titles. So from an LVG perspective, this deal is a win-win for the company. But mainly for their players. In addition to the online slots above, PPL also has several other new releases that are grabbing the attention of thousands. Indeed, players who are looking for the next big hit game by PPL, look no further, LeoVegas probably has it. And the best of all is that PPL’s games are rarely excluded from the wagering requirements of casino bonuses. Plus, they’re also available on mobile casinos too. So, if you’re looking to kill time on your way back home after a day’s work. Well, take a few seconds to visit LeoVegas. There’s lots of entertainment waiting for you there as you can see.